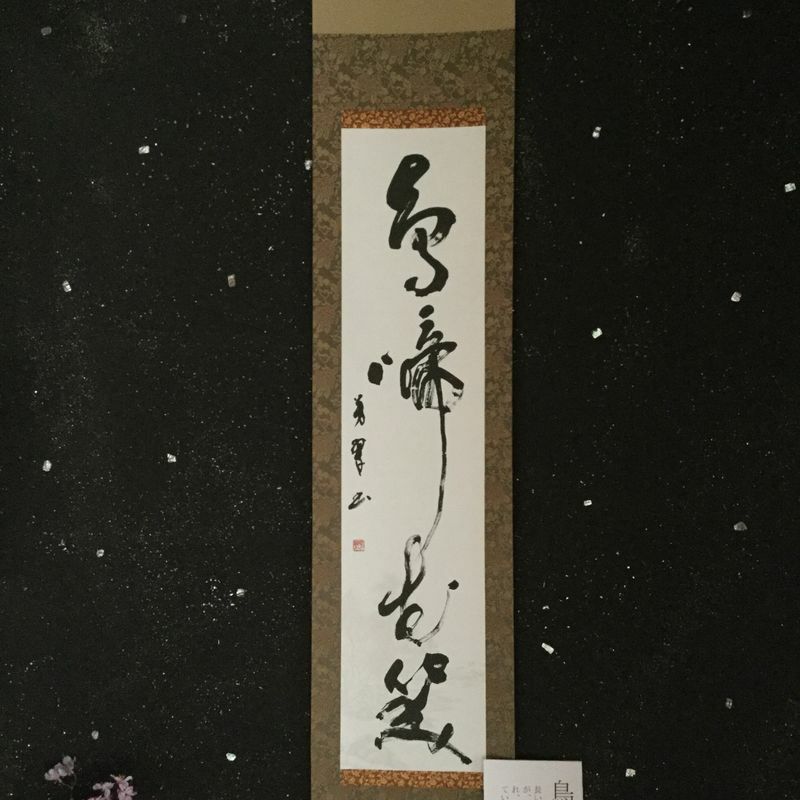 In museums, private homes, schools, and public buildings, you see kakejiku, scrolls with calligraphy or paintings on them. They are precious things brought out seasonally to celebrate seasons and events. The blank scrolls are available at art stores at various price points - cheap and simple ones for students, and elaborate high quality ones for calligraphers and artists. 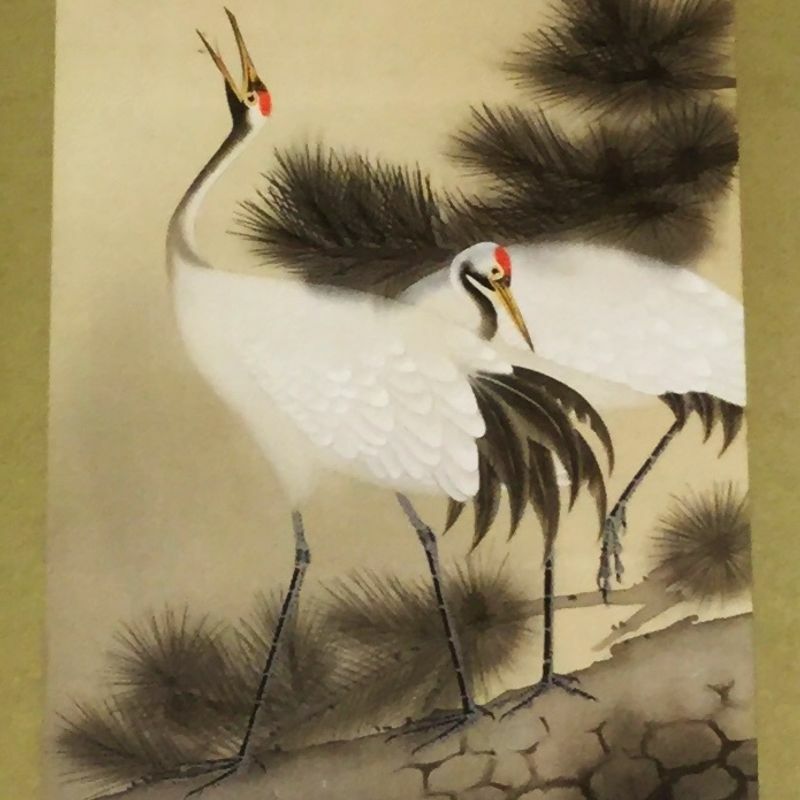 At antiques fairs and in recycle shops, you may see kakejiku among the woodblock prints and other decorations. The surprising part is that, although many of the pieces you see were originally purchased for tens and even hundreds of thousands of yen, vintage ones go for fractions of that. At an antiques shop I went to with an art hound friend recently, the dealer had stacks and stacks of paulownia wood boxes with vintage scrolls, priced between ¥3000-10,000. We unrolled a dozen, and we were surprised at the beauty and variety. My friend selected three with images of koi and mountain landscapes. His purchase didn’t break the bank. I asked the dealer about the images. What do they represent? He gave me a lesson in the symbolism of kakejiku pictures. For engagement and marriage, pairs are common You’ll see cranes, koi, and mandarin ducks which are said to pair for life. You might also see an elderly couple, characters from the play “Takasago”. 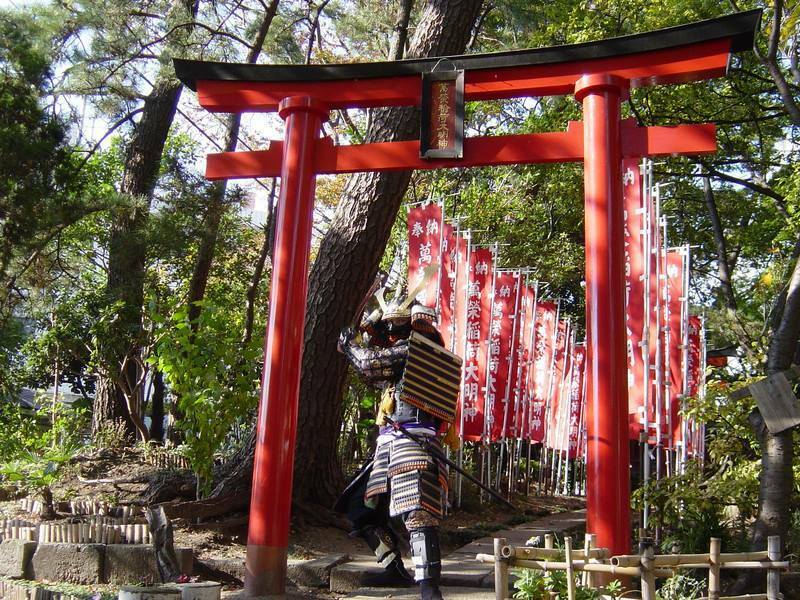 This Noh play is about a happy couple who spend a lifetime together. To celebrate a birth, there is a wide variety of appropriate images. You’ll see seasonal flowers, an object that symbolizes a festival that coincides with the baby’s arrival, and Asian zodiac symbols. The most surprising figure is the Taoist god Shouki, the demon vanquisher. This fierce and armed character guards children against disease. Kabuto helmets and warriors are other martial representations you see on kakejiku presented to newborn boys. Many gods appear on kakejiku, too.The Seven Gods of Good Fortune bless new businesses. Sometimes Daikokuten and Ebisu are depicted as they preside over good harvests and production. Something to bear in mind when you browse shops or flea markets is the likely origin of kakejiku with Buddhist images. These are not necessarily from temples. They may have been displayed at memorial services or in homes on the anniversary of a person’s funeral. You can recognize these by the elaborate brocade backing fabric. Frequently, they show Kannon Bosatsu, the merciful incarnation of the Buddha. A Buddha with his right hand raised, palm facing the viewer, shows fearlessness. More neutral but no less beautiful are kakejiku to celebrate the new year. The goddess Amaterasu, the rising sun, crane and turtle, and Shinto gods bless houses and businesses on scrolls. These days I’m on the lookout for an all- purpose scroll with “shochikubai”, the three friends of winter. They’re bamboo, pine and plum which endure the winter cold. They represent resilience, and provide cheer through the cold months. You might wonder why people let go of these lovely things. Some are a bit faded with age and were discarded at antiques dealers, but the patina adds to their beauty. Space is tight in Japanese homes, so people periodically give away or dispose of decorations, no matter that they’re precious. Others were probably sold off with estate sales. Some people might be squeamish about old stuff from deceased people. But if you’re okay with the provinance, you can come by a reasonably priced treasure. Just remember to keep them out of direct sunlight and away from damp, and they will be beautiful for years to come.